It’s been great news that the new iPhones finally support wireless charging. Although this technology is great, it does come at a price. Being sure that your wireless charger works before you buy it is absolutely essential. You do not know just how many people send us messages with complaints that their wireless chargers aren’t working as well as they’d hope. One of the most expensive wireless chargers would be the ones that are bundled in a car. We know you don’t purchase a car for its wireless charging compatibility with your iPhone, but it’s nice to know if it does work. 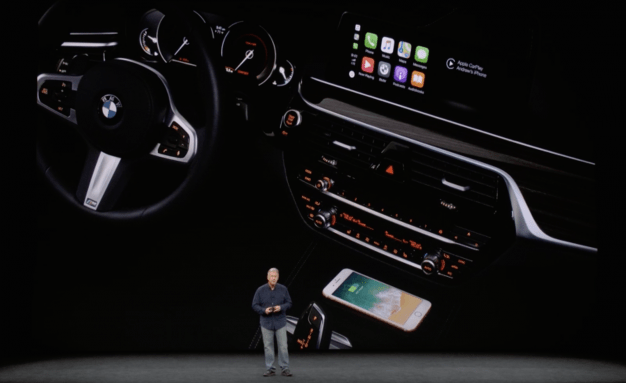 Apple has added a handy list of car brands with wireless charging compatible with the new iPhone 8 and 8 Plus. Here’s the list that will work with the iPhone 8 and might work with the iPhone 8 Plus. Do note that the iPhone 8 Plus might not work with some cars due to its large size. Apple also notes that for Buick, Cadillac, Chevrolet, and GMC vehicles, only a select number of 2018 vehicles support the current Qi wireless standard. The 2017 versions with wireless charging do not meet these Qi wireless requirements. I have just taken delivery of a new Peugeot 5008. My LG G5 Android appears to connect very temporarily and then not to charge, similarly my wife’s V7 Zyro. Is there a way we can get them to charge wirelessly in the car?